Head to Branson to vacation in the Live Entertainment Capital of the World with the luxurious timeshare units at Marriott's Willow Ridge Lodge. 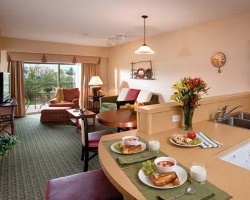 Find resale and rental units for sale at the resort for thousands below retail costs with SellMyTimeshareNow.com. Tucked away in the woods of the Ozarks, but still close to the thrilling and invigorating destination of Branson, the Marriott Willow Ridge Lodge provides a secluded retreat steeped in luxury. You won't have to lift a finger with a timeshare at this highly-rated offering from Marriott, with upscale amenities and features designed to make your stay one of the utmost comfort. From the two sprawling outdoor pools to the fitness center and video game arcade, you'll have a wide spread of convenient features to compliment your stay. Accommodations at the Willow Ridge Lodge Branson include efficient studio spaces, as well as one and two bedroom villas equipped with desirable homelike amenities. Perfect for couples seeking a secluded break or families looking to have a week full of fun, the suites at the Marriott Willow Ridge can accommodate parties up to six. 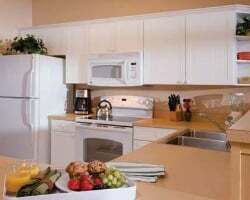 With fantastic in-unit features like premium bedding, private balconies, laundry machines, full kitchens, and more, you'll be surrounded by comfort and convenience in your very own Branson villa. If you're ready to secure years of amazing vacations to Branson each and every year, you can get started today. Fill out the form on this page to learn more about ownership opportunities at the Marriott Willow Ridge Lodge, or call a representative at 1-877-815-4227. Purchasing a timeshare at this Marriott Vacation Club Branson resort can earn you years of amazing trips to Missouri filled with exclusive owners-only benefits. However, buying that timeshare on the secondary market can provide you with all the great perks of being a timeshare owner at a fraction of the cost. Timeshare resales at the Willow Ridge are sold by current timeshare owners, and not the resort itself. What results are the same amazing vacation accommodations for up to 70% lower than retail value, allowing you to save big. Timeshare resales at the Willow Ridge Lodge are available in deeded fixed and floating weeks, allowing you to find an interval that matches your travel preferences. Timeshares at the resort also fall within Marriott's Silver, Gold, and Platinum seasons. Additionally, your timeshare resale could lead to bigger and better vacations with the exclusive perks and privileges from the Marriott Vacation Club. Affiliated with the Marriott Vacation Club, a timeshare resale at the Willow Ridge Lodge promises incredible vacation perks and benefits should you choose to become a club member. You can make reservations using your resale immediately, but upgrading your ownership to Marriott Vacation Club Destinations points can unlock a world of new and exciting privileges. Use the easy-to-understand points system to manage reservations and plan vacations more easily, or explore other travel possibilities by booking stays at other Marriott resorts. As a Marriott Vacation Club member, the choices are nearly endless. Marriott's Willow Ridge Lodge is affiliated with one of the world's most well known timeshare exchange companies, Interval International. Exchanging your timeshare can help you to get the most out of your resale ownership by taking you to new destinations all over the world. With a separate Interval membership, you can trade your Branson accommodations for stays at comparable resorts also in the Interval International exchange network. The Marriott Willow Ridge Lodge is a Premier-rated resort, which means you'll likely be paired with resorts of similarly high quality and standards when you seek to exchange. The Marriott Willow Ridge Lodge is filled with fantastic on-site amenities and services designed to make your vacation experience fulfilling and enjoyable. For starters, the resort's two swimming pools allow for days of fun and lounging under the Missouri summertime sun. The resort's fitness center is ideal for travelers who want to stay on top of their exercise goals, while the free car and boat trailer parking provide convenient solutions for those traveling with a vehicle. Head down to the game room to play video games or lounge in style in the whirlpool spa. Nearby, all of Branson's best attractions are yours to discover. Traverse the famous 76 Strip to find classic attractions like Dolly Parton's Dixie Stampede, Presley's Country Jubilee, and more. Family fun is easy to find at the Silver Dollar City Theme Park, while live entertainment shows are abundant at Shoji Tabuchi Theater, Baldknobbers Theater, and others. Outdoors enthusiasts can explore nearby sites like Table Rock Lake, and find wonderful hiking opportunities all around the Ozarks region. Already Own at Marriott’s Willow Ridge Lodge?